Are you on the hunt for some new bars? Have you given Mike Curley‘s signature Switch bars from Wethepeople a look? 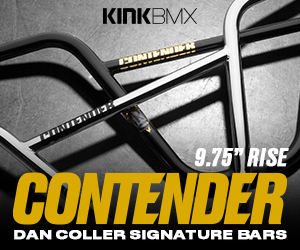 The Switch bars are made from 7/8″ thick, full liquid post-weld, multi-butted 4130 “M2″ chromoly with an 8.75″ rise, 28.75” width, 11.5-degrees of backsweep and 2.5-degrees of upsweep. They feature an ovalized cross bar for strength and a unique look. The Switch bars are available in colors of black Titan, glossy black, translucent Ice blue and translucent green with a weight of 1.79 lbs. (28.64 oz). For the entire month of July, Wethepeople and QBMX are GIVING AWAY a pair of Switch bars every Sunday. Get the full details below! Odyssey just released a video from a SoCal trip they did with QBMX A little while back. Watch as the whole crew, including a crippled Aaron Ross who spent his time riding in a boot, absolutely slaying spot after spot and having a good time hanging out with locals at a few shops they visited. If you like rail destruction, you will LOVE this video. Plus, that Jacob Cable nose manual is absolutely NUTS. It looks like Oregon is going to be a bit of a hot spot the next few weeks between Volume Bikes heading that way and now the Subrosa team are heading that way thanks to QBMX! Check out the details below! QBMX is sending Subrosa to Oregon to shred some cement, visit some shops, host a few Park Party’s and to have a Subrosa Street Rail Jam! Subrosa riders Hoang Tran, Jono Hopping, Nick Bullen, and Kyle Hart will be heading there in June for these 3 stops. The Shadow Conspiracy‘s Simone Barraco, Lahsaan Kobza, Trey Jones, Johnny Devlin, Matt Ray and Mark Burnett will be rolling through Local BMX, Providence Bicycle Service and Maul’s Bike Shop June 4th through June 8th next month! If you ride BMX and are in the area of any of these shops, this will be the place to be! Mark your calendars now. Last but not least on our list of BMX brands to visit at Frostbike 2015 is the new comers to QBP‘s brands they carry; Wethepeople, Eclat and Fuse Protection! It was a good chance to catch up with the man behind the brands, Harry, to talk about some of the new products they have available and really get an in-depth look at what makes them unique. There’s a bunch of items you’ll want to get a good look Let’s do this! 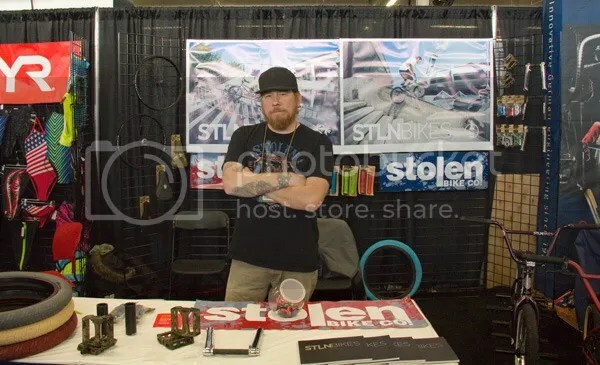 Frostbike 2015 – Stolen Bike Co.
Cruising right along at Frostbike 2015. 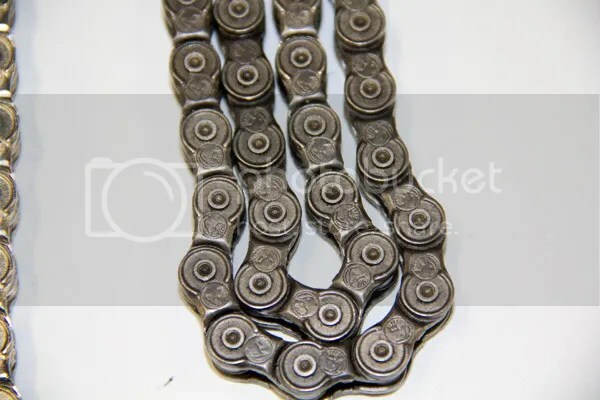 We made our next stop over at the Stolen Bike Co. booth to see what was new with David Wooten and to get a look at some of the fresh product they had on display! As always, Stolen had something new to see, so let’s get into this and take a closer look! 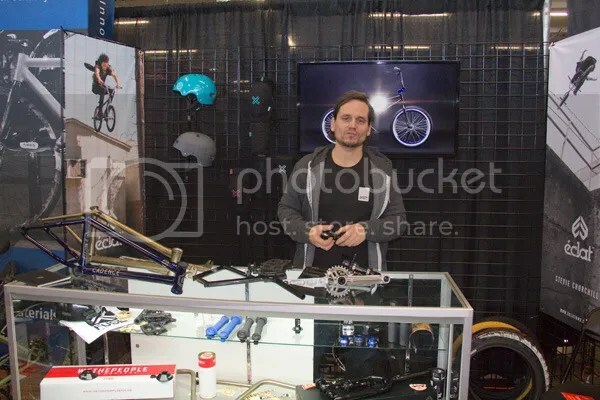 The next stop at Frostbike 2015 was a stop at The Shadow Conspiracy and Subrosa Brand booth to see just what Ronnie Bonner and Ryan Sher have been cooking up since we caught up with them at Interbike! Turns out they have a bunch of new product dropping next month, so let’s take a closer look at just what’s coming! Next stop on the Frostbike 2015 adventure was to the FBM to catch up with Steve Crandall and find out what they had cooking these days! As always, Steve was loaded with good, clean, wholesome entertainment and there were even a few new items like their new sprocket and stem to check out! Let’s get into this!